Whether you’ve attended with us for years or are just now learning about us, we’re so grateful that you’re part of our Life.Church family! We believe that a church isn’t a building—it’s the people. We meet in multiple locations around the United States and globally online with a desire to make a lasting difference in your life, in our community, and in the world. In addition to meeting in physical church locations, Life.Church also meets globally online. Life.Church Online was launched in 2006 out of our core value to do anything short of sin to reach people who don’t know Christ. 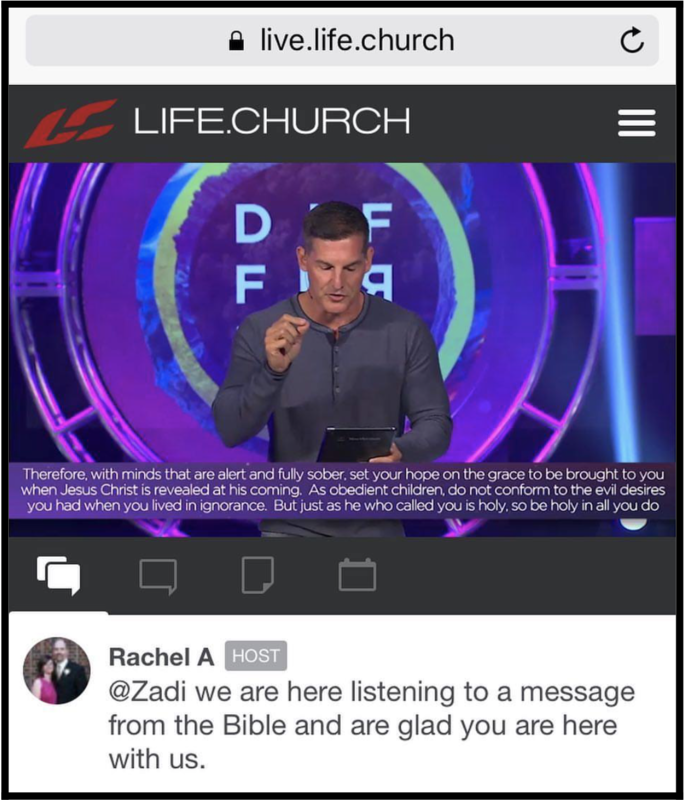 Today, we host 80+ weekly online church services at https://live.life.church, on Facebook Live, and on YouTube Live, reaching an audience of over 300,000 people representing every country in the world. Each service features vibrant worship, an engaging message, live community, and a team of volunteers ready to welcome, interact, and pray with you. Last year, over 10 million people attended one of our online services. We have over 600 volunteers serving from more than 50 countries—and you’re now one of them! Ready to learn what you’ll be doing as a Chat Host? It all boils down to 3 easy things—what we call the “Big 3.” These 3 things you’ll do are welcome, discuss, and pray. Let’s unpack each of those. First, welcome each new guest into the chat area. You can use @ tagging like on social media to welcome each guest by name. A friendly welcome can be made even friendlier by using exclamation marks, emojis, and a follow-up question to get to know them. Example: Hi @johnfromuganda, welcome to Life.Church Online!  We’re so happy you’re here today. How’s your day going so far? Next, spark discussion in the chat area. You can do this by asking icebreaker questions, recapping key points from the message, or posting the Talk It Over questions in the bottom of the message notes. Open-ended questions—questions beginning with who, what, when, where, why, or how—are always great conversation starters. 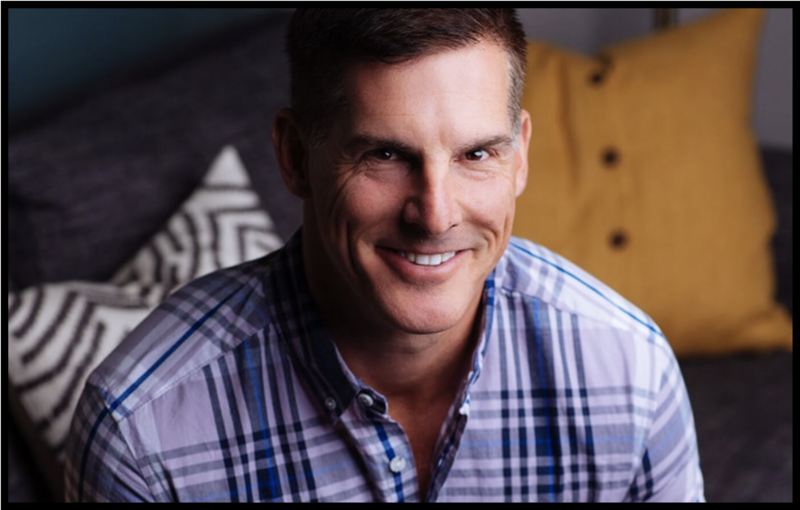 Example: I love that Pastor Craig just mentioned _____. That’s so powerful! How do you think we can apply this into our everyday lives? Finally, offer prayer to guests in the chat area. You can pray with people right in the chat area, or encourage them to click the Live Prayer button if they’d rather talk and pray with a volunteer privately. It’s amazing to see how loved people feel when someone reaches out to pray with them! Example: Hi @martha75, I’m so sorry to hear that you lost your grandfather this week. Could we pray together here for you and your family? Let’s pray: God, we lift up Martha and pray that you would be with her and her entire family today. We ask that you would bring them your perfect peace and comfort, and that you would surround them with people who can encourage them in this season. Thank you for loving us and being with us in every difficult moment. In Jesus’ name we pray, amen. For more information on our team’s vision for Google Ads, check out this Tuesday Talk.